Our previous blog discussed IoT as a new paradigm for a new world, requiring a new reference architecture to guide the development of IoT enterprise solutions – a common framework that provides consistent definitions for the decompositions and design patterns of the system of interest. The reference architecture should be vendor-neutral and not specific to any set of technologies. Developing a single architecture that covers all the requirements of the connected ecosystem is a big challenge. 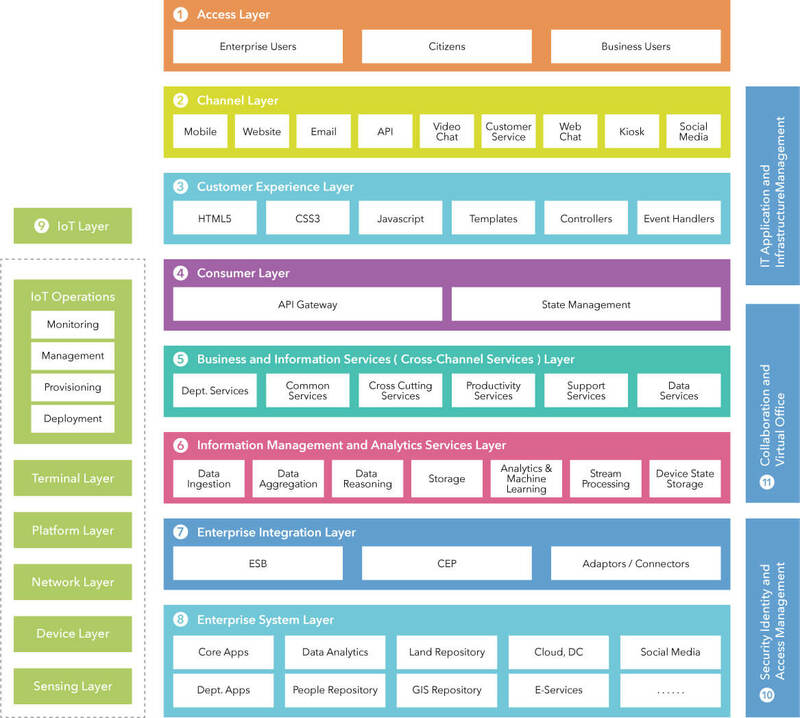 The reference architecture covers multiple aspects of the enterprise-wide backend layers, including domain-specific applications and decision support systems that consume data from the IoT devices. When in place, the reference architecture’s principles, standards, reference models, and best practices ensure that the new system’s aligned investments have the greatest possible likelihood of success: lower cost in both the short and long term (TCO), better policy implementation and better service delivery to end users. Consists of IoT devices and the IoT gateway. The architectural characteristics of this tier, including its breadth of distribution and location, depend on the specific use cases of the enterprise. It is common for IoT devices to communicate using a relatively short range and specialised proximity network, due to power and processing limitations. The IoT gateway contains a data store for IoT device data, one or more services to analyse data streaming from the IoT devices or from the data store, and control applications. The IoT gateway provides endpoints for device connectivity, facilitating bidirectional communication with the enterprise systems. It also implements edge intelligence with different levels of processing capabilities. Receives, processes and forwards control commands from the Enterprise tier to the Edge tier. The Platform tier consolidates, processes and analyses data flows from the Edge tier, and provides management functions for devices and assets. It also offers non-domain-specific services such as data operations and analytics. Receives data flows from the Edge and Platform tiers, and issues control commands to these tiers. The Enterprise tier implements enterprise domain-specific applications and decision support systems, and provides interfaces to end users, including operations. The proximity network connects the sensors, actuators, devices, control systems and assets, collectively called edge nodes. It typically connects these edge nodes in one or more clusters to a gateway that bridges to other networks. The access network enables data and control flows between the Edge and the Platform tiers. It may be a corporate network, or a private network overlaid over the public Internet or a 4G/5G network. The service network enables connectivity between the services in the platform tier and the enterprise tier, and the services within each tier. It may be an overlay private network over the public Internet, or the Internet itself, allowing enterprise-grade security between end-users and various services. Users of the IoT system include both humans and digital users. Humans typically interact with the IoT system using one or more kinds of user devices – smartphones, personal computers, tablets or specialised devices. In all cases, the IoT system provides some form of application that connects the human user with the rest of the IoT system. End users – both internal and external to the enterprise – interact with channel(s) and play a role in the overall customer journey. End users use media to interact with the enterprise over multiple channels, both physical and digital. A collection of presentation components and services – the critical systems the enterprise uses to engage with end users. API Gateway: a single point of entry giving consumers access to backend services, as provided by API Management platforms. The composition and orchestration of these services are based on customer journey and context. State Management: manages state and transition. Control logic is decoupled from the user interface and managed at the customer experience layer. Provides cross-channel capabilities. Its design is based on micro-services architecture principles. A business service system is responsible for realising traditional or new Internet-specific business functions, including: Enterprise Resource Management (ERP), Customer Relationship Management (CRM), asset management, service lifecycle management, payment processing, human resource activities, work planning and scheduling systems. Focuses on data ingestion, processing, complex event processing and real-time analytics and insights. A basic service system provides fundamental data services, including (but not limited to): data access, data processing, data fusion, data storage, identity resolution, geographic information services, user management and inventory management. This layer is a key enabler: it provides mediation, transformation, protocol and routing capabilities, and acts as a gateway to integrate with core enterprise systems. It also provides aggregation and broker communications. The Enterprise Integration layer is responsible for integrating the IoT environment into the enterprise’s business processes. The IoT solution ties into existing line-of-business applications and standard software solutions through adapters or Enterprise Application Integration (EAI) and business-to-business (B2B) gateway capabilities. This layer is a collection of enterprise back-office core systems and applications that house business logic and data. Physical Devices Layer: A collection of physical systems such as smart sensors, devices and machines. This layer leverages infrastructure-as-a-service and platform-as-service technologies, as it requires large computing capabilities. The effectiveness of IoT cannot be realised without the collaboration of Industry, Enterprise and Agencies. Enterprises and Agencies work together to build a consistent set of standards that everyone must follow. 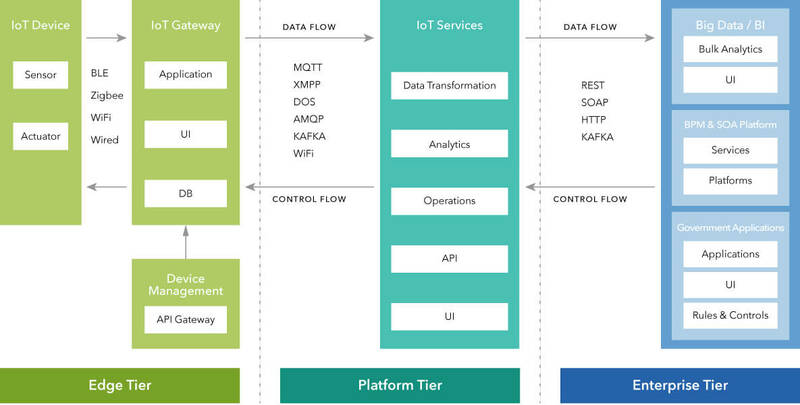 This Enterprise Reference Architecture can guide the development of systems that can manage the large number of IoT devices and the volume of data they emit. This large volume of new information allows a new collaboration of enterprise, industry and customer. It enables the rapid development of IoT-focused preventive and predictive analytics. Dr. Gopala Krishna Behara is a Distinguished Member of Technical Staff & Lead Enterprise Architect of SCA Practice with 20+ years of extensive experience in the ICT industry which spans across Architecture Consulting, Enterprise Architecture, Service Oriented Architecture, Business Process Management, Solution Architecture, Product Development and Systems Integration. He is certified in Open Group TOGAF, IBM Cloud Solutions. 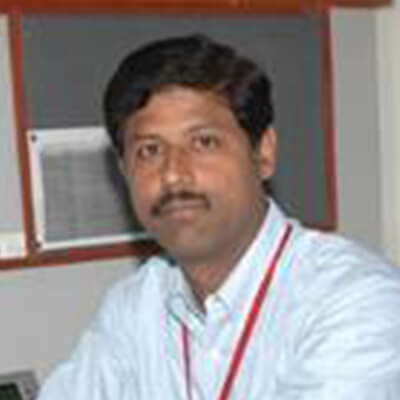 Raju Myadam is a Distinguished Member of Technical Staff and Chief Architect with Wipro Digital. With more than 19 years of experience, Raju brings in digital transformation customer-centered architecture and technology expertise for clients. 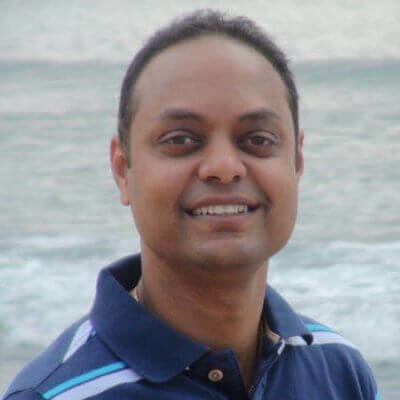 Raju specializes in digital business architecture covering omnichannel, emerging architecture patterns such as micro-services, service style & reactive, API management & Integration PaaS, Big Data, NOSQL, DevOps, and Cloud. He is certified AWS Solution Architect, Open Group TOGAF.